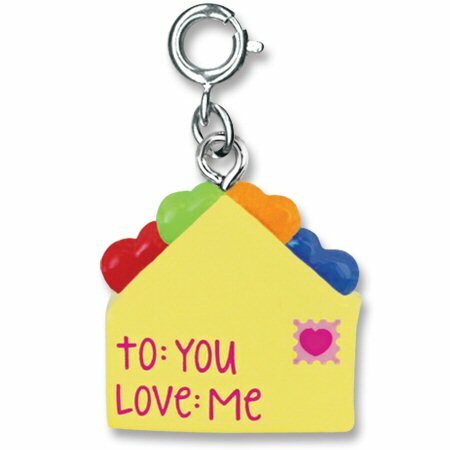 Love letters are special treasures and now your sweet someone can carry a token of your love with her wherever she goes with this colorful CHARM IT! Love Letters charm. 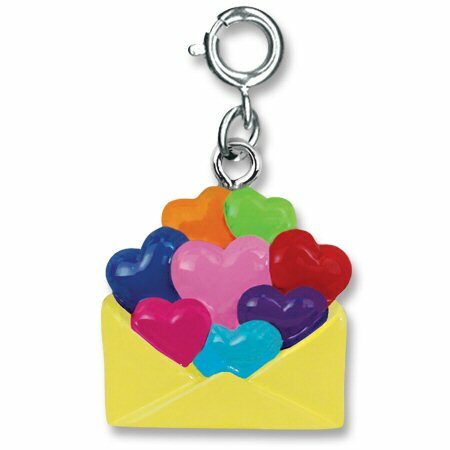 Featuring a light yellow enamel envelope bursting with eight hearts in a rainbow of colors, simply turn the charm over to see that it is addressed "To: You, From: Me" complete with a pink heart stamp. You'll stay near to her heart as she adds this cherished CHARM IT! Love Letters charm to her bracelet with a simple snap of a clasp.